How can your day be marvelous if it begins with the ordinary? I like to treat even quiet daily moments as special times, because those micro-habits really do become the sum total of your life. A simple morning drink transformed into something extraordinary with a tiny bit of effort. My secret? I love fancy little espresso cups. I have a small stable of beauties from Wedgwood and one from Ralph Lauren that make me smile. And I'm always on the lookout for a new addition to the crew. Fine bone china with gold accents, these spectacular creations make my morning cuppa a very festive affair. How can you infuse a little fabulousness into your sunrise? With the careful addition of a few choice elements. 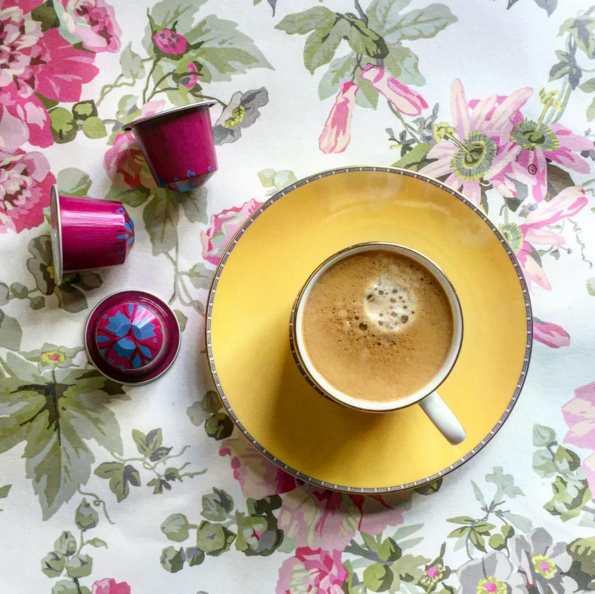 A cup & saucer set you adore, a robust espresso (or tea or green drink if you choose!) and a special place to enjoy them both. Perhaps it's a barstool in your kitchen, maybe it's a window seat in your bedroom, maybe it's a chaise on your patio. Find a space and find a place to have that moment for yourself. Steal that time and make it yours. Enjoy this opportunity to pause, to think and to frame up your thinking. Celebrate being alive. Enjoy what is rightfully yours. Breathe deeply. Then take charge of your day. This is how successful people begin their morning: with a moment of meditation, gratitude and reflection. This then, is how you should kick start your days as well. 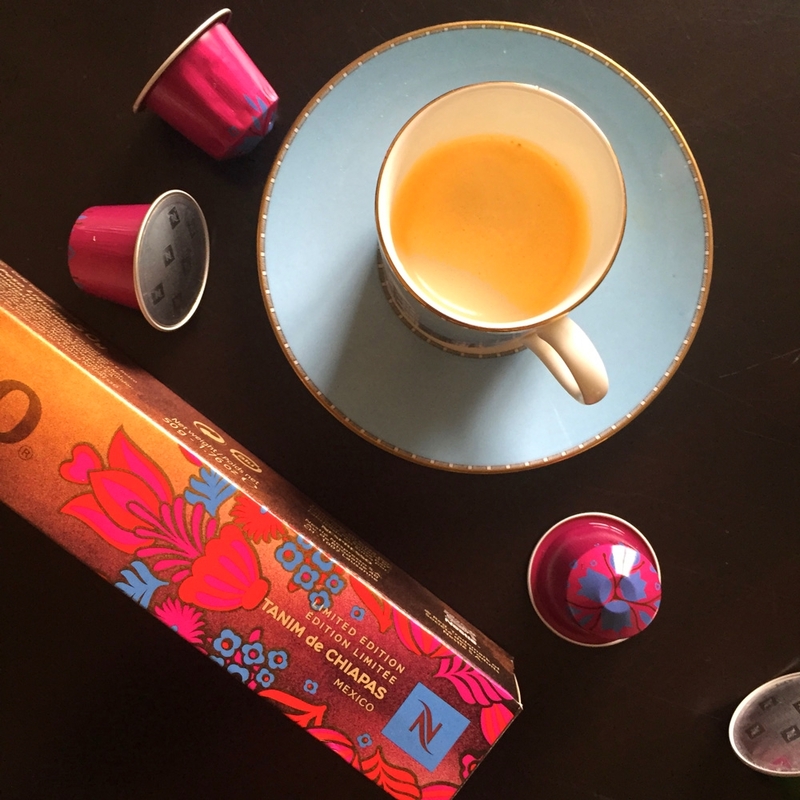 Also, if you're a Nespresso fan I cannot begin to gush about how marvelous their newest cru tastes. Tanim de Chiapas de Mexico is beyond excellent. If you like a flavorful espresso with a full-bodied flavor, this is it. It is almost sweet in its nutty complexity. A really remarkable cup of coffee. Roma is typically my go-to morning cup, but this limited edition option has me reordering it on repeat! If you love my pretty cups, follow me on instagram for a stream of pretty pix like these of my morning (and afternoon) coffees & teas!